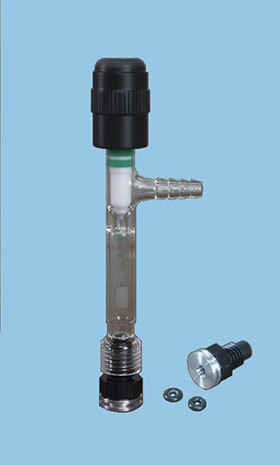 The Tip-Off Adapter / Valve features a high vacuum valve with a sturdy Teflon plug and two Teflon-clad o-rings. 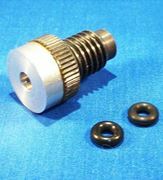 The bulbous plug tip makes an inert and positive seal to isolate the vacuum line. 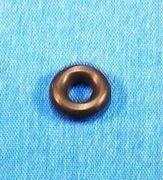 The valve has a 0-4mm orifice. The Tip-Off Adapter / Valve can be mounted easily with a clamp to a lab rack.